In celebration of Canada’s 150th birthday, Give150 is connecting Canadians to charities – and making giving a habit, not a reflex. OTTAWA—Canada has experienced a steady decline in giving, hurting Canada’s 82,000 charities and the work they do. Give150 is an initiative that aims to raise more than $260,000 for Canadian charities while creating a new culture of generosity during our country’s 150th birthday. This initiative is a partnership between Faith in Canada 150 and Chimp, a foundation that believes everyone should have access to tools that can easily integrate giving into their everyday lives. 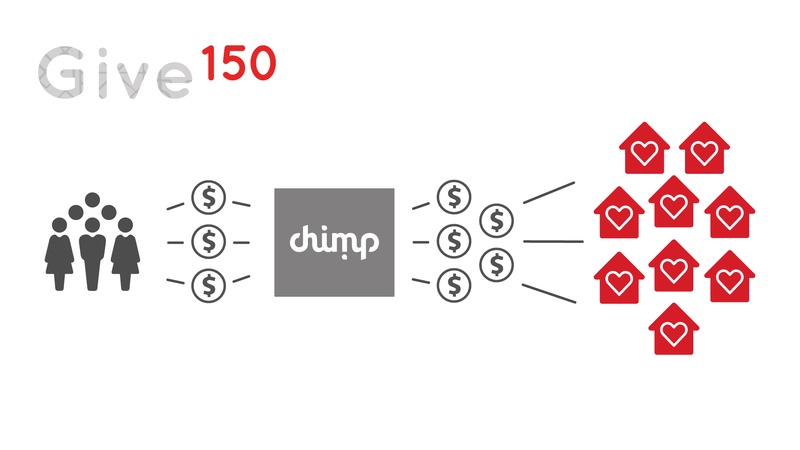 Through Give150, individuals are able to create their own free foundation when they create a Chimp account. These individuals will receive the resources to give to any registered charity in Canada: on their own, with friends, with family, or with social networks. Give150 is an initiative meant to identify 2,500 Caring Canadians in Canada's 150th birthday year. Thanks to a significant patron, we have access to $150,000 of matching funds to benefit charities across Canada. 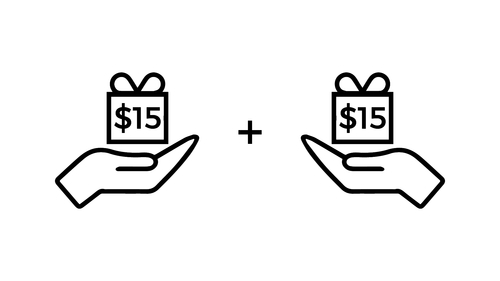 Give150 is connecting individuals with charities, driven by the belief that giving should be a habit, not a reflex.